La Jolla Village offers countless restaurants, cafes, deli’s and breakfast houses within walking distance of Pantai Inn. 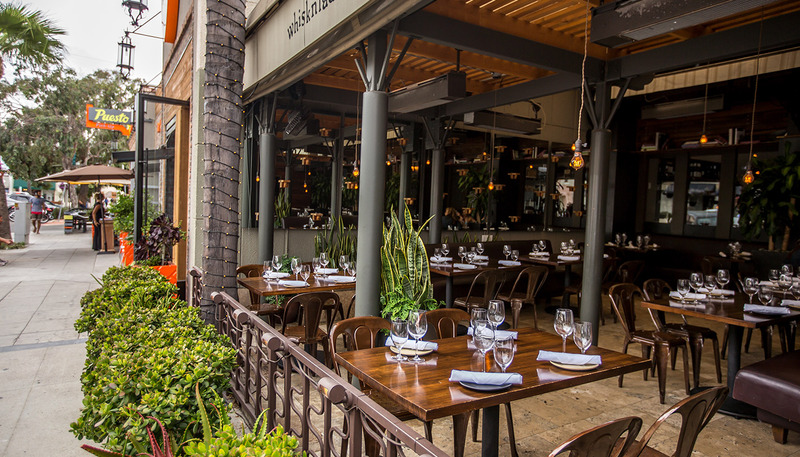 We are pleased to offer some suggestions to get you started and more than happy to provide further recommendations and ideas for great places to eat while visiting La Jolla. Cody's La Jolla Brunch,American 8030 Girard Avenue, La Jolla, CA 92037 Just around the corner from Pantai Inn is Cody's La Jolla where guests can enjoy brunch and lunch with clever comfort food, ocean views and a patio known for people-watching. Donovan's Steak & Chop House Steakhouse,American 1250 Prospect Street, La Jolla, CA 92037 (858) 450-6666 A stylish, lively atmosphere, cordially friendly, where you can celebrate with friends, family and associates. Donovan's serves USDA Prime steaks and delectable market seafood. A depth of wine variety and has the Wine Spectator 'Best Of Award'. Duke's La Jolla Californian,American 1216 Prospect Street La Jolla, CA 92037 (858) 454-5888 Overlooking the La Jolla Cove, Duke’s serves genuine, friendly hospitality with contemporary interpretations of traditional island plates. As a tribute to Hawaii and Southern California beach lifestyles, Duke’s celebrates family, views and the spirit of aloha. George's At The Cove Californian,American 1250 Prospect Street, La Jolla, CA 92037 George's offers a fine dining experience at California Modern, featuring unique tasting menus from Chef Trey Foshee. For a more casual experience try the Ocean Terrace, acclaimed for its rooftop dining, or a drink at George’s Bar. Herringbone Seafood,American 7837 Herschel Avenue, La Jolla, CA 92037, (858) 459-0221 100 year old olive trees grow between tables, lounge style tunes fill the air, and the kitchen serves up unique takes on meat and seafood. Escape with the lunch hour or relax at Happy Hour or dinner. Puesto Mexican Street Food Mexican 1026 Wall Street, La Jolla, CA 92037, (858) 454-1260 Enjoy this popular spot for unique artisanal takes on tacos, bowls and salads using all natural meats, sustainable seafood and local organic vegetables in dishes for lunch, dinner and happy hour. The Cottage Brunch,American 7702 Fay Avenue, La Jolla, CA 92037, (858) 454-8409 Serving tasty, classic American & Southern California influenced food, The Cottage offers all the best and freshest ingredients from breakfast through dinner. Whisknladle Brunch,American 1044 Wall Street, La Jolla, CA 92307, (858) 551-7575 Whisknladle has won over critics and customers alike for their commitment to simple and seasonal scratch cooking and a mission to make as much food from scratch as possible. Open for weekend brunch, lunch and dinner.